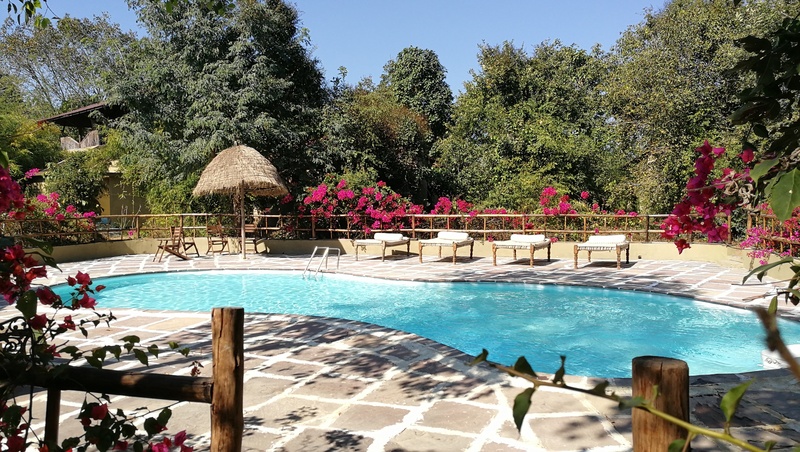 The very first lodge to open near the Satpura Tiger Reserve, which was declared a tiger reserve only in the year 2000 under Project Tiger, Forsyth Lodge opened in 2009 and remains one of the best stay options near the national park even today. Renovated extensively in 2016, its aesthetically designed mud cottages are a comforting haven after your adventure in the wild. I am a great lover of wildlife parks and the whole jungle experience, as long as I have a comfortable room to return to (no camping in the wild for me, no sir) and Forsyth Lodge provides just the right luxury one requires after spending four freezing hours on a bumpy wildlife safari. Little design touches will please the aesthete: a ladder shaped stair-railing; brass snakes as doorknobs; exquisite colourful rugs in an otherwise muted décor with clean lines; and large windows framing the green outdoors all come together nicely to make a beautiful space. 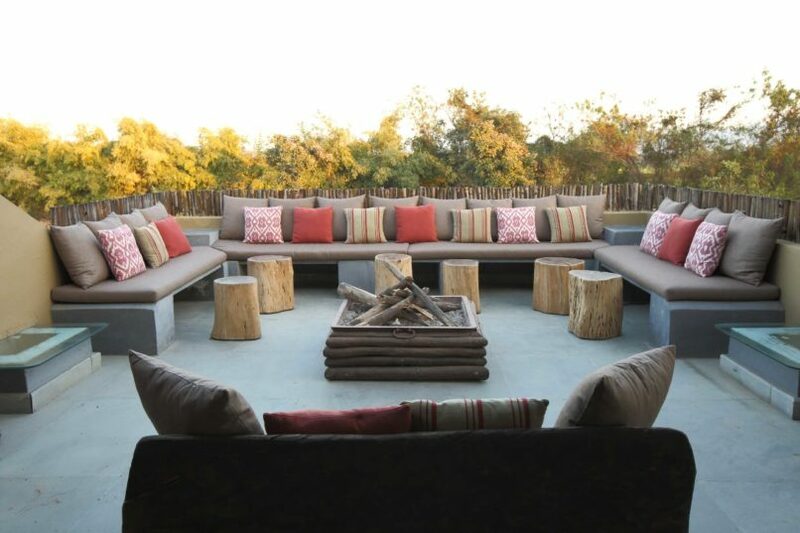 The lodge is built using natural resources — mud, cob, husk and cow dung – with minimal use of concrete and no use of plastic. You will come away feeling grateful that you stayed with people who truly care for the environment. I go to national parks with minimal expectations when it comes to food because one does not expect city level skills or ingredients in small towns and villages but the food at Forsyth is good because they stick to the basics. Over my four days I had a variety of Indian food, most of the veggies grown in their own garden. 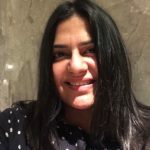 I had not-bitter methi, excellent spinach, torai, baingan, beans and equally delicious fish, chicken, and mutton preparations. Chef Krishna is an expert baker and dishes out delicious scones for snacking! The kitchen also served up a mean dosa for breakfast the one day I stayed in (left the lodge at 6:30 am for the morning safari every other day) and surprised us all with daal, baati ,and chokha for our farewell lunch. 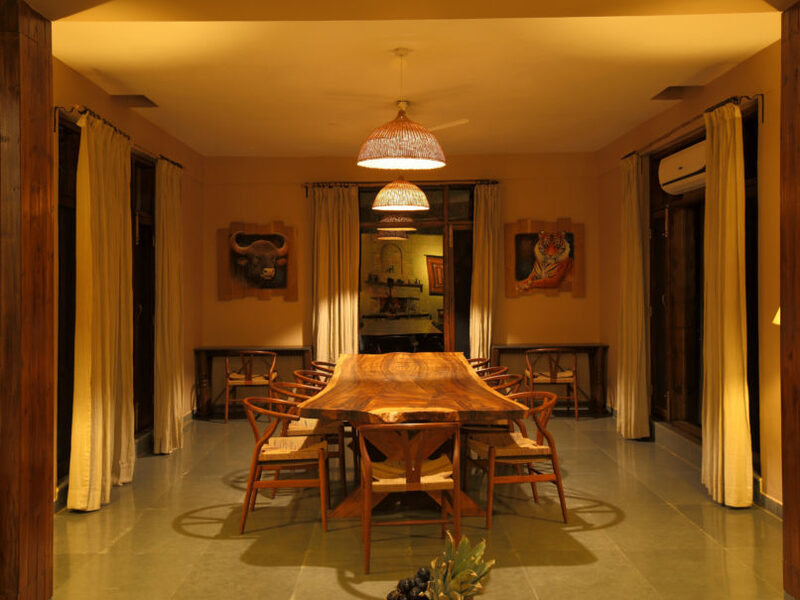 On a sunny day, one can eat under the giant mahua tree in the courtyard or by the pool – otherwise there is a minimal driftwood dining table where all the guests get together to share stories of the day from the jungle. It can be said of any hotel that people make the place but it is especially true for a jungle lodge because your entire experience of the holiday depends on the staff of the lodge – whether it is a mild-mannered and gracious general manager Deepanker Mukherji who adjusted my changing demands without complaint or the ever-smiling Raju who oversaw meals every day. The naturalist team – Sidhant, Saee, Asim, Animesh and Vineith – make for an excellent family of experts who keep you entertained and informed on the safaris. Birds, trees, reptiles, big cats, bears, you see and learn a lot over the safaris with these people but, most of all, you can share a laugh and have a good time, a big plus especially if you are travelling solo. 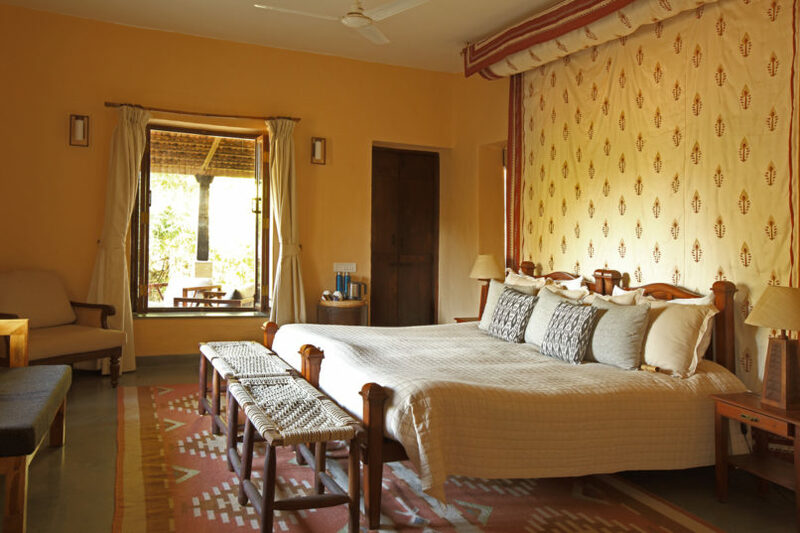 So Forsyth Lodge is a fabulous, luxurious, stay option – however, the biggest luxury here remains the Satpura Tiger Reserve. One doesn’t go to a jungle lodge for the food or the sinky beds, one goes for the jungle and that is the real star here. With a multitude of forest experiences, Forsyth really bowled me over. 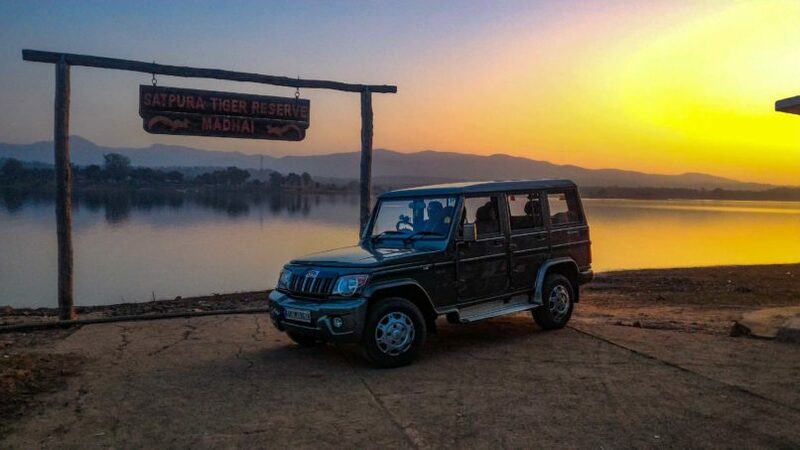 I have been to several national parks but nowhere have I done anything other than a morning and evening safari – at Satpura, one can do those two safaris as well as a night safari. But that’s not all. With Forsyth Lodge, you can also camp overnight at the buffer zone of the park, do a walking safari in the core of the national park (the one time you are hoping not to see a tiger! ), and a boat or a canoe safari. There are so many things to do and options to explore that there is no time to get bored even if you stay a week. Pack a pair of binoculars, a camera, good walking shoes and prepare to have the time of your life.